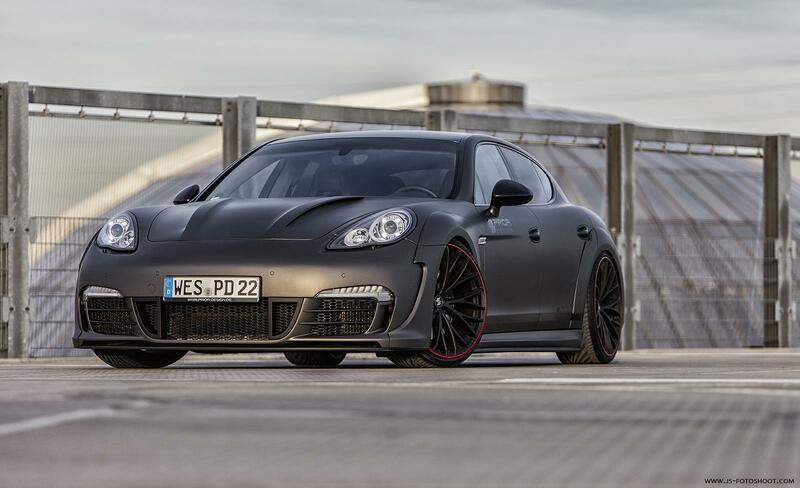 PRIOR600 WB – The bodybuilding-Panamera The name obliges: With the sport limousine Panamera, Porsche has been the undisputed expert of dynamics in the automotive luxury class since good four years. 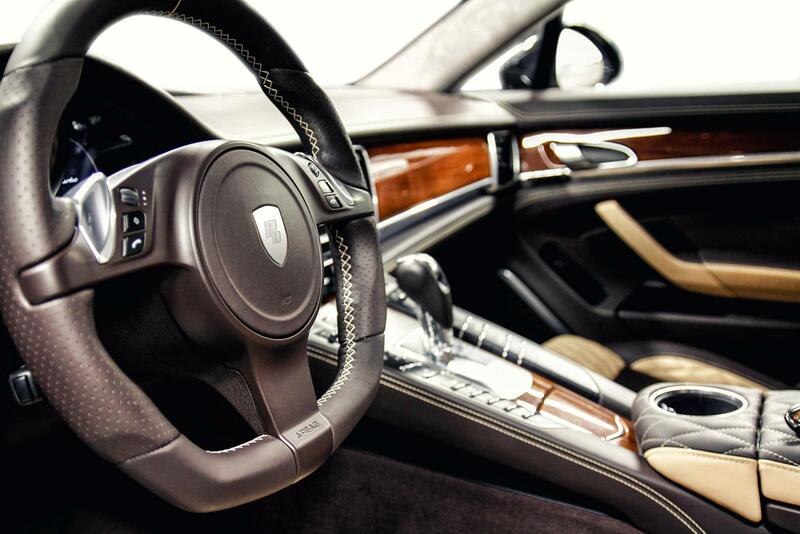 Panamera that is described in-house as "type 970" perfectly combines the trademark-typical spirit of athletics with the genuine comfort of a grand travel limousine – a fascinating combination. 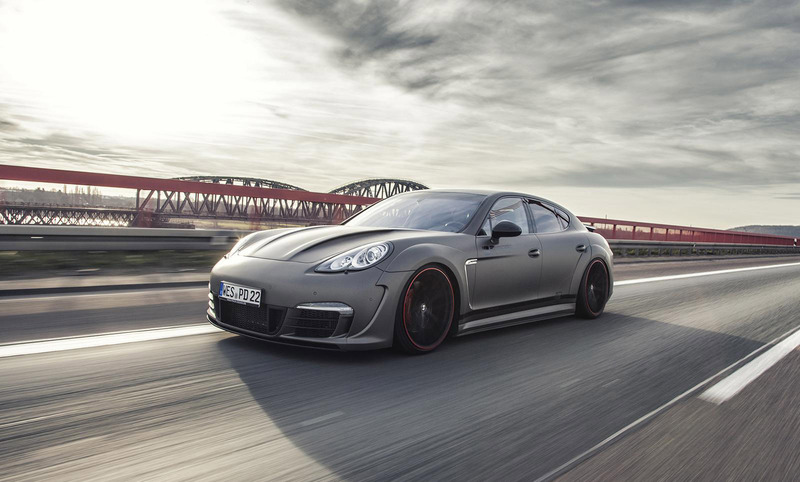 Even though Panamera with its ample dimensions of 4.97 meters in length and 1.93 meters width also appears with adequate presence, its optical radiation however, does not necessarily reflect its internally latent power and dynamics. 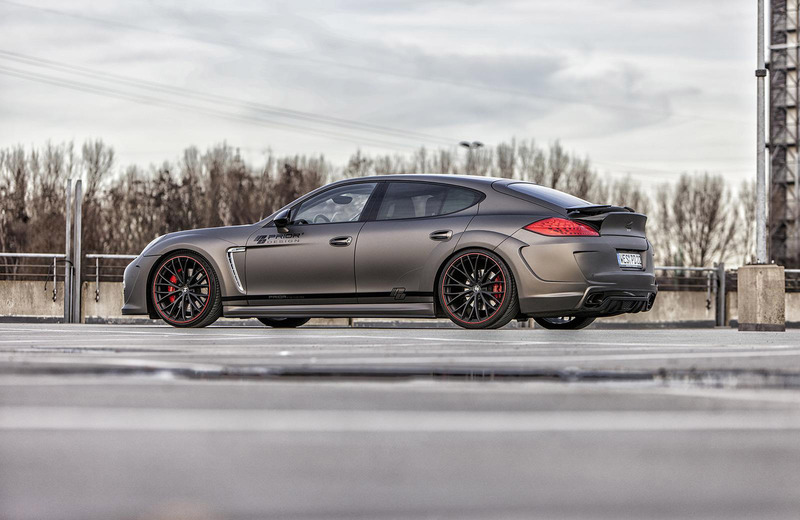 Even the styling specialists of Prior-Design from Kamp-Lintfort also saw the need to act in this respect and fitted the Panamera with a custom-made wide-body aerodynamic construction kit (to match all 970 types), which endowed the Porsche with the impressive appearance of a toughened bodybuilder whose muscles are only apparent from within a perfect-fitting custom-made suit. 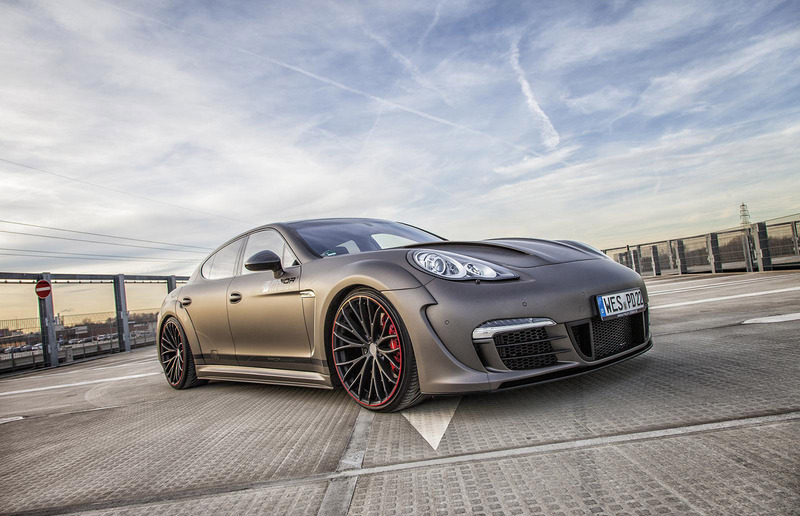 In addition to a new front bumper bar including front spoiler, the PRIOR600 WB-Kit contains a distinctively contoured engine hood and a new rear bumper bar as well as a rear luggage compartment spoiler that is reminiscent of the "ducktail" of the legendary 911 RS 2.7, and widened front and rear bodies that are joined together by perfectly fitting side skirts. 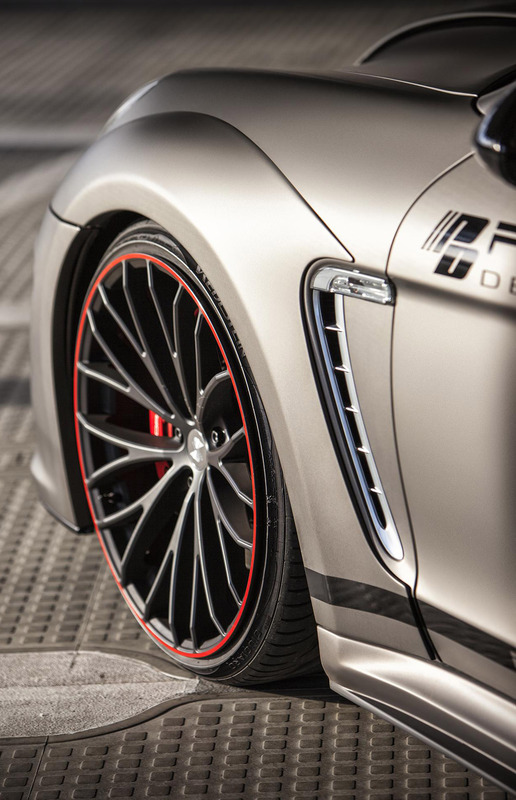 The wide-body construction kit can be ordered optionally in high-grade Dura-Flex or even in the more exclusive full carbon. 22-inch etabeta Piuma light alloy wheels rotate in the wheel houses of the pictured PRIOR600 WB Panamera, whose "Black Red" finish is a perfect match for the matt shade of the fully wrapped product of Stuttgart. 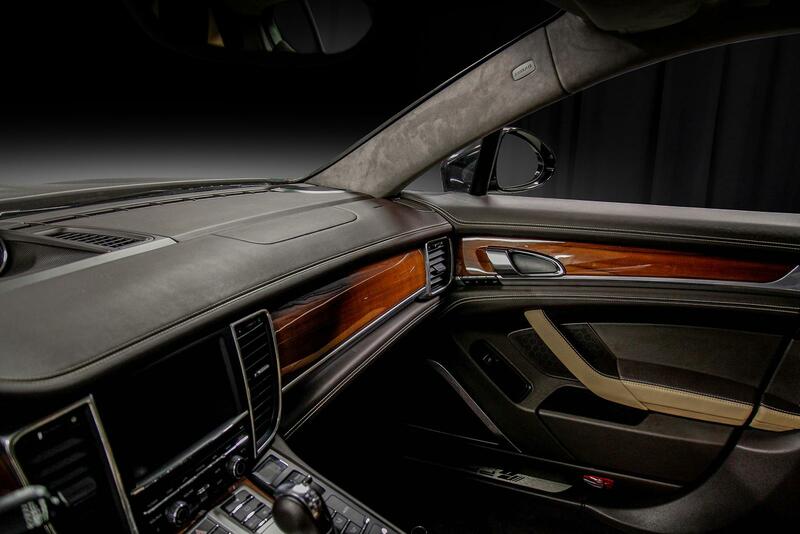 The damping characteristics of the KW chassis that is responsible for lowering by a few centimeters can be modified through an iPhone app and the sound of the engine can be individually adjusted thanks to the special sports exhaust system with valve control. 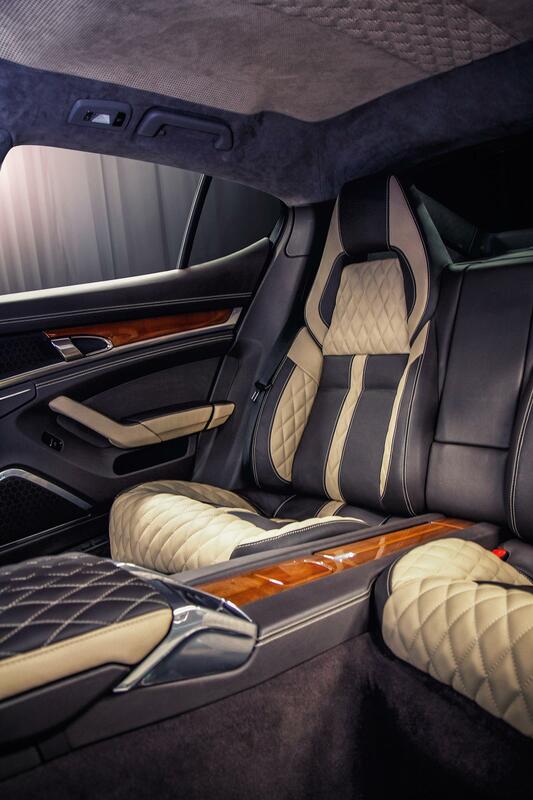 Even the interior of the luxury sports limousine was not left untouched by Prior Design. 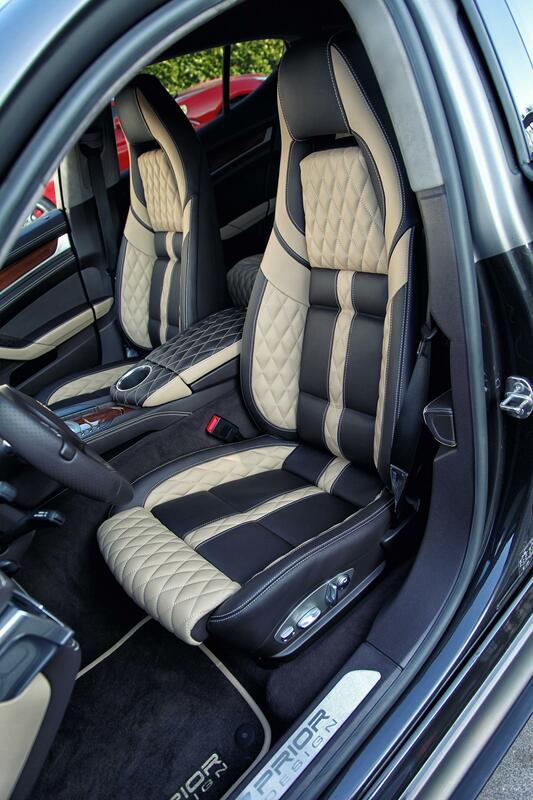 In addition to the seats of the first and second row, the entire instrument panel, center console including the armrest, the sports steering wheel that is flattened below and the door linings are immersed in a bi-colored full leather covering in beige and brown with diamond-patterned stitching. 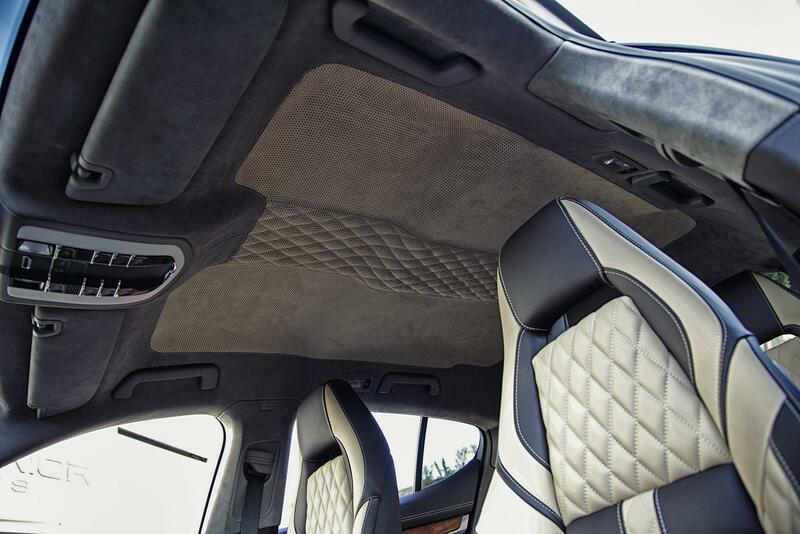 On the contrary, the columns and headliner are covered in soft alcantara. 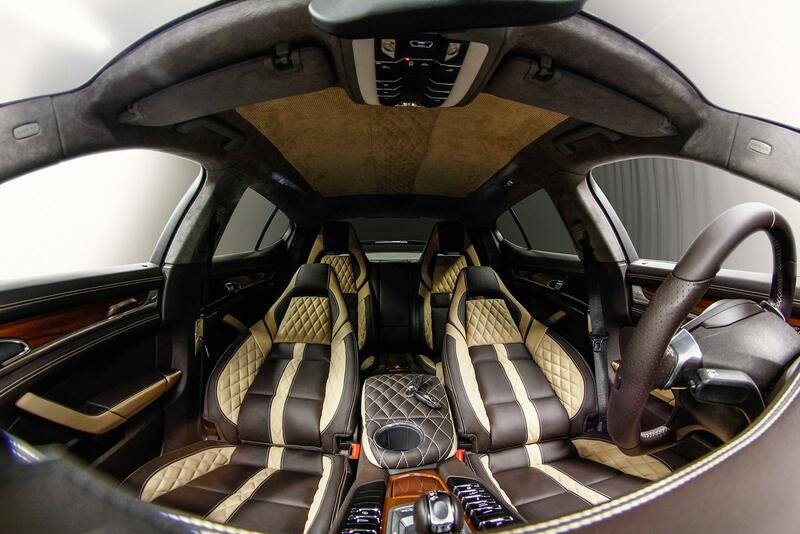 Stitching was done even on the headliner.